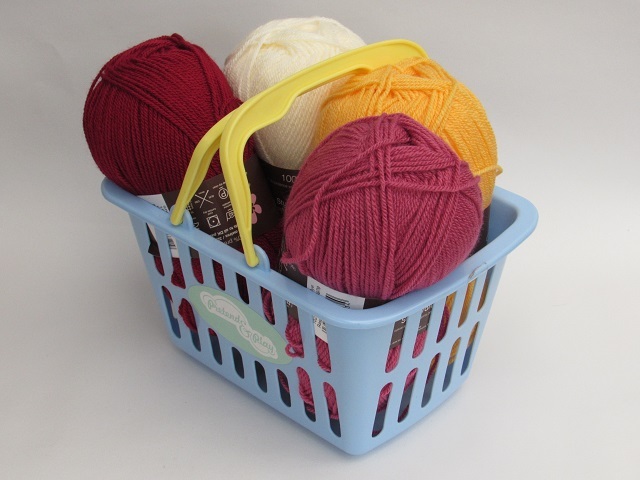 The Rhubarb the Cat tea cosy is handcrafted from double thickness yarn for extra insulation. 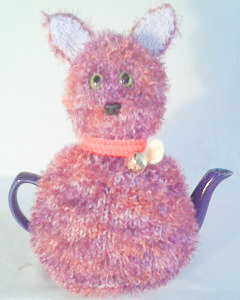 The Rhubarb the Cat is made from purple and orange yarn that has a furry effect when knitted. The cat has a collar with a bell and tag with the initial 'T' . Rhubarb does not have a tail. The cat has green cat like safety eyes and a black safety nose. 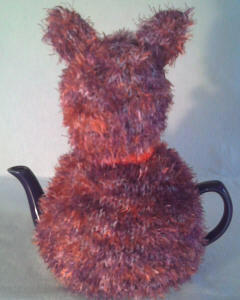 Cuddly purple and orange cat, he loves a nice tea party, especially in the garden.